Jack Summers was previously committed to Brown. When the Wolverines came calling, however, it was hard to say no. 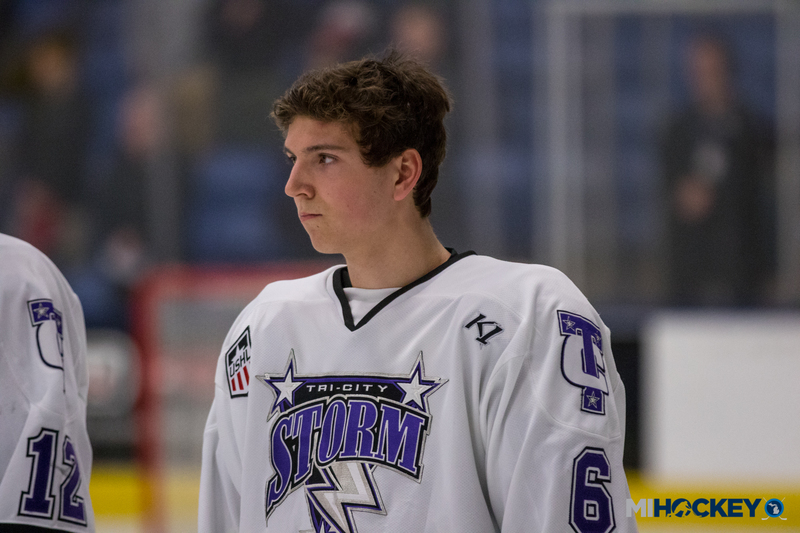 The Livonia native, starting his second season with the Tri-City Storm of the USHL, announced on Oct. 5 that he has verbally committed to the University of Michigan. The Victory Honda alum played 21 games with the Springfield Jr. Blues in 2016-17 before earning a spot with the Storm. Summers will be familiar with one of the Wolverines’ coaches when he ends up on campus; he played for new assistant coach Bill Muckalt when Muckalt was the head coach of the Storm last season. “I’m excited to be a part of the traditions of Michigan hockey and ultimately win championships at the school, as well as getting a world-class education,” Summers said.